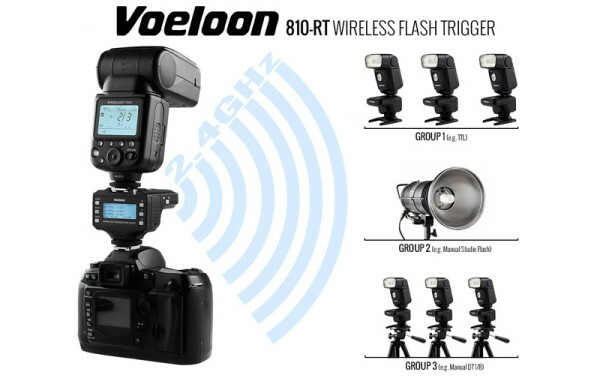 A new wireless remote, the Voeloon 810-RT, promises to build all the features a flash photographer needs into one device. The 2.4GHz radio can transmit or receive TTL signals to trigger your lights in auto mode, or give precise manual adjustment without leaving the camera position. You can also mix Nikon i-TTL and manual flashes in different groups. It even claims to work at ranges up to 250 metres. There is an autofocus-assist lamp built into the front, to help keep photos sharp in low-light conditions. But this isn’t the first radio trigger that can do TTL; how does it stack up against the competition? 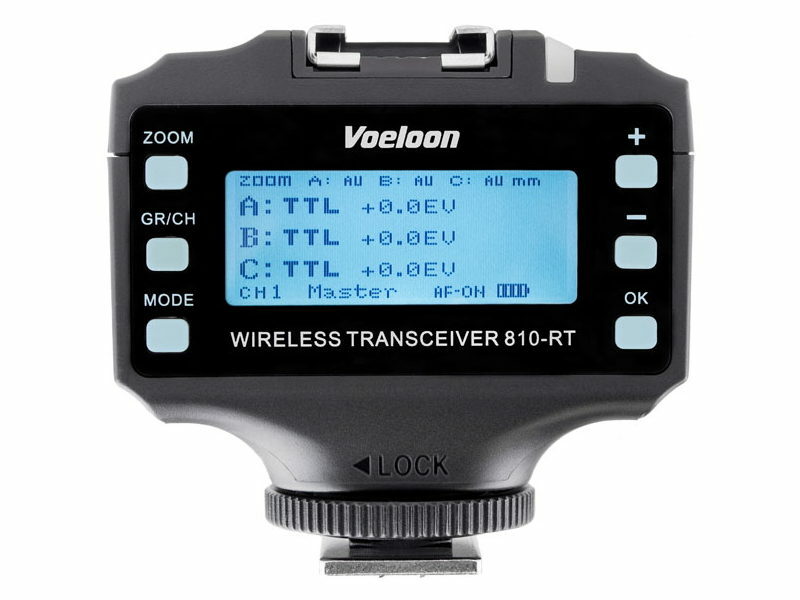 Like the Voeloon 810-RT, the Pixel King Pro, Yongnuo YN622N-TX and Phottix Odin/II all offer TTL control and display the flash group settings on the transmitter for quick adjustment and review. However most of these systems have separate devices to act as transmitters and as receivers — or if you want an LCD control panel anyway. The 810-RT only has one unit: the transceiver, so your backup transmitters can play the role of extra receivers and vice versa. This might sound like it would make building a system pretty expensive, but these things are selling for £25-30 per unit, so it’s actually around the same price of the popular YN-622N system and a good deal cheaper than either the Pixel or Phottix offerings. There is a backlit LCD on the rear of the trigger, showing all three flash groups at once. 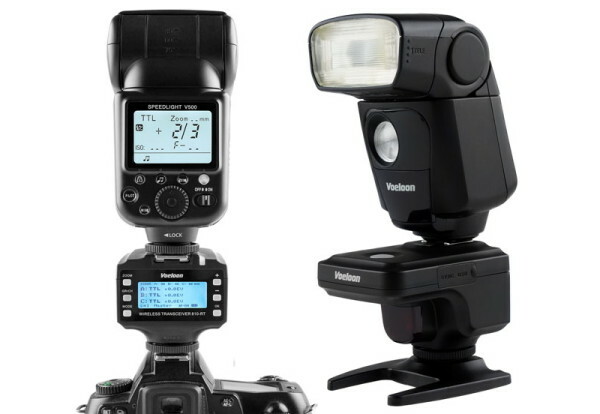 Using the buttons you can switch modes and adjust zoom, TTL exposure compensation or manual power. Other nice touches are the battery level indicator, USB port (for firmware updates). The device takes two AA batteries. Don’t think that using a radio trigger will prohibit you from using an on-camera flash, though: the hotshoe on top of the 810-RT, normally used when in receiver mode, also has pass-through, so you can mount an i-TTL flash on top of it while it is on your camera. Possibly unwieldy, but it has form factor similar to the Pixel King Pro, so check our review of that to see how we got on. Voeloon is the international-facing brand of Shenzhen Trongasonic, a Chinese manufacturer. In its domestic markets, the Voeloon Wireless Transceiver 810-RT is also known as the Oloong 800-RT. At the moment the 810-RT is being sold by Polish distributor Foxfoto and a British retailer, Kauser International. You’ll also find it on eBay. For more information, visit the Voeloon web site.